The Duracell size 312 batteries are simple to handle and replace with extra-long Easy Tabs. They offer easy-to-open packaging and the tabs are color-coded so you can easily find your size. 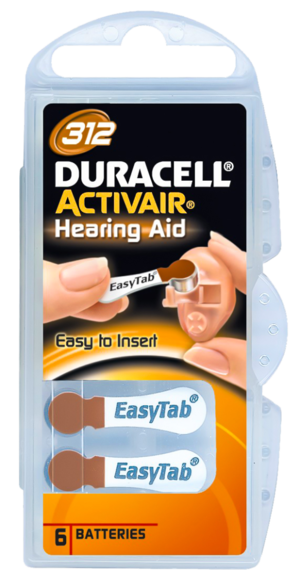 Plus, Duracell Hearing Aid batteries have Duralock Power Preserve Technology so they’ll last for up to 4 years in ambient storage.